A new electrical power conversion technology for subsea power distribution requirements in the oil & gas industry that replaces hydraulic systems with efficient electric drive motors, actuators, and small cables has been intro- duced by Diversified Technologies, Inc. of Bedford, Massachusetts. The PowerMod™ High Voltage Underwater Electric Power Converter is a modular system that allows 10 kV transmission to the ocean floor using 10 AWG cables and converts it to working voltage levels from 100 to 600 VDC or 480 VAC. Eliminating hydraulics and miles of hydraulic cables, this system can be configured with modules that can each down convert up to 20 kW @10 kV to drive loads at multiple locations from a power station up to 500 miles away. Featuring electric drive motors and actuators rather than hydraulics, the PowerMod™ High Voltage Underwater Electric Power Converter’s solid-state power distribution center employs proprietary high frequency switching technology to perform the conversion within a single unit. 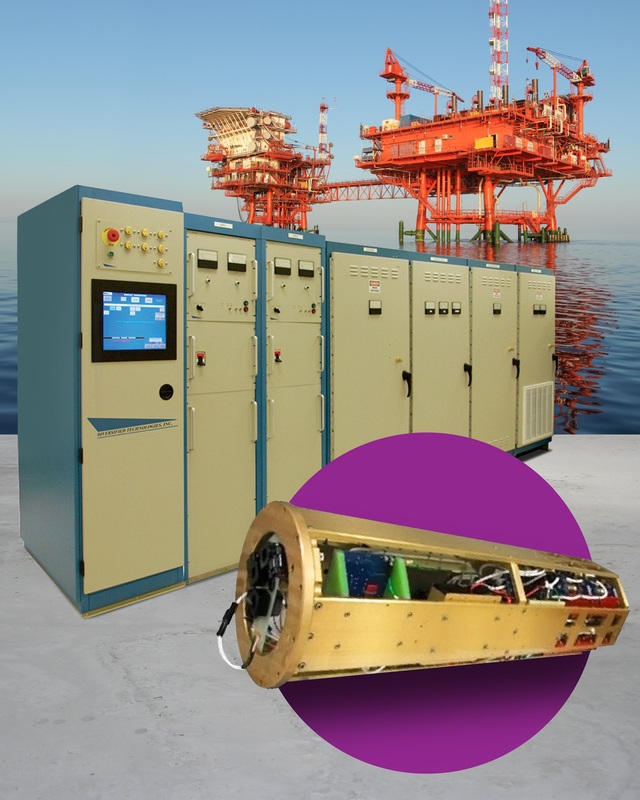 This subsea electric power conversion system has a rated life more than 25 years. The PowerMod™ High Voltage Underwater Electric Power Converter is priced from $200,000.00 per node, depending upon configuration.